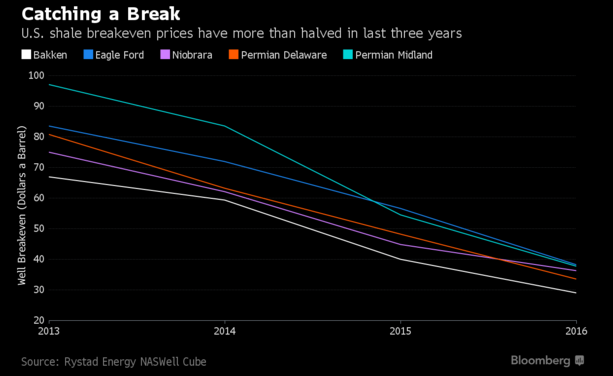 The wildcatters of the US shale patch successfully cut costs and consolidated operations to weather the storm of $40 oil, leaving behind a leaner more resilient industry that should benefit as prices recover. In the US, the price fall arguably helped speed the repeal of 40-year-old curbs on crude exports, allowing the country’s oil to be shipped to customers in Asia and Europe on the largest scale since before the Arab oil embargoes of the 1970s. 2016 got off to a volatile start, it felt like every day was either up or down one percent. In fact, when I made this chart on March 11th, 28 of the first 46 days of the year fit this criteria. Now seven months later, that number has fallen off a cliff, collapsing to just 22%. 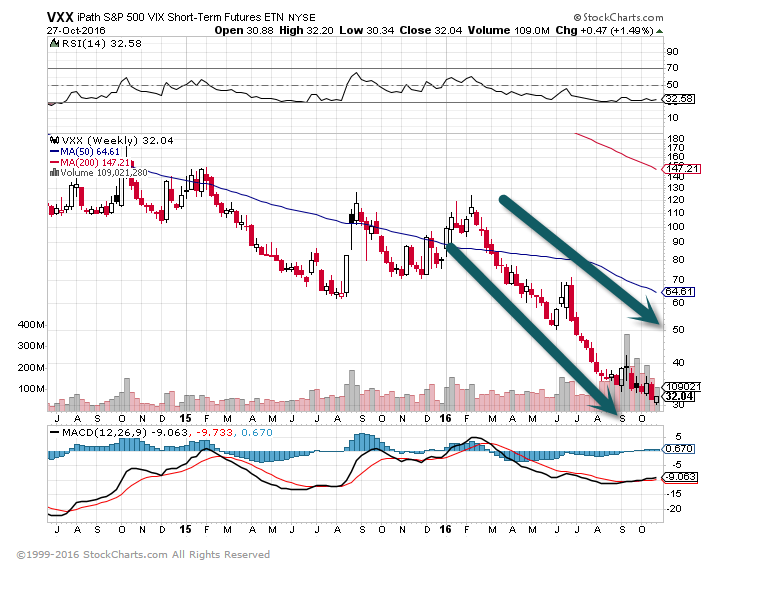 And just as we all thought would happen, volatility vanished as we got closer to the election. 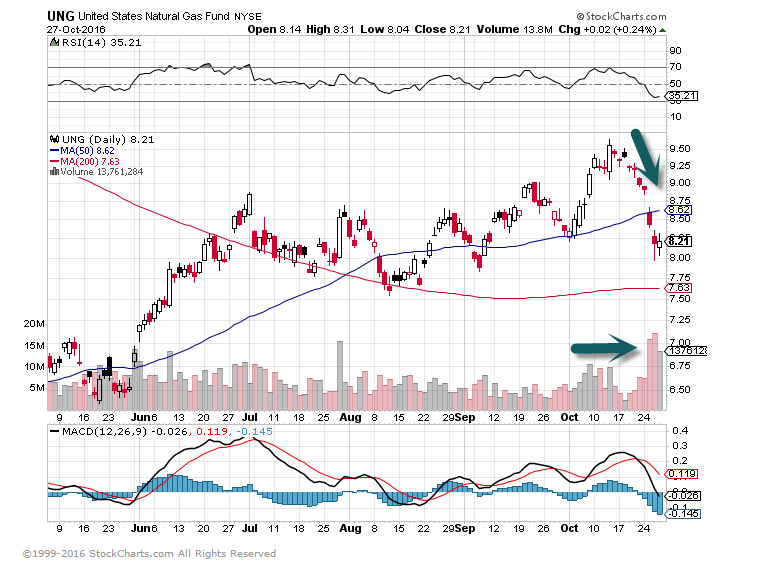 The chart below with the red diamonds is a good visual of the volatility tapering. It turns out that election years aren’t more volatile than normal, at least looking at the number of one percent moves. The average of all years going back to the election in 1928 shows that 24% of all days move one percent, versus just 22% of the days for election years. The idea that the election would cause volatility is another example of linear, if then thinking. It’s never that easy. 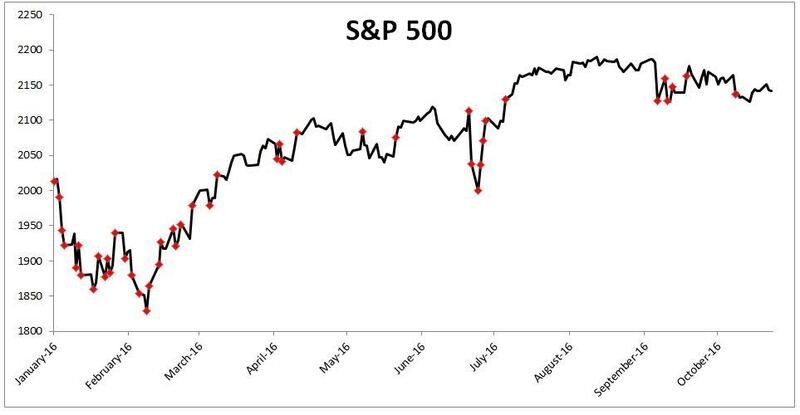 And now the narrative has shifted from stocks are volatile because of the upcoming election to stocks aren’t going anywhere because nobody wants to do anything before the election. Please, give me a break. 3. Intermediete Term Volatility not Even a Blip Up for Election Season. 4. Over the 12 Months Through Sept. Mutual Fund Investors have Withdrawn a Net $238 Billion from U.S. and International Equity Mutual Funds…The Last 7 Days was the Biggest Exodus in 5 Years. – “Largest exodus in five years hits U.S.-based stock mutual funds: ICI” – The investors pulled $16.9 billion from stock mutual funds in the seven days through Oct. 19, more than in any other week since August 2011, the trade group’s data showed – By contrast, stock exchange-traded funds took in $2.4 billion. The latest data is another somber development for stock mutual funds which, despite strong markets, are on pace to record a year of withdrawals comparable with the 2008 peak of the global financial crisis. 5. 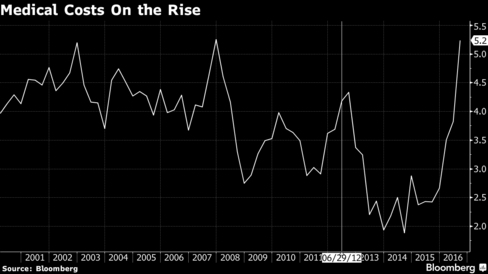 Is the Quarterly Earnings Rig Ending with Mutual Fund Outflows? Furthermore, as you can see from the accompanying chart, this penalty for missing the analyst consensus has been steadily growing this year. These developments have implications not just for investors who focus on earnings surprises and earnings revisions. All of us need to cultivate a healthy dose of cynicism about analysts’ earnings estimates. Perhaps the best way to immunize yourself from the expectations game is to focus on long-term growth rather than quarter-to-quarter results. That’s because the longer-term trends can’t be manipulated in the way in which quarterly results can. 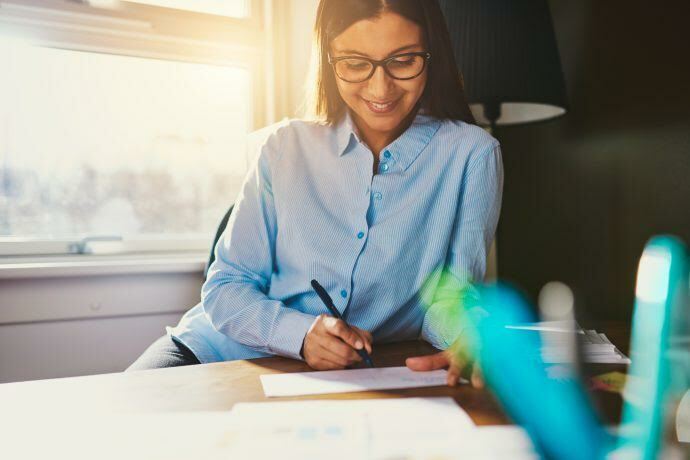 Another reason to focus on long-term growth is that companies that expend enormous amounts of energy on manipulating short-term results may very well be sacrificing their long-term growth in the process. 6. 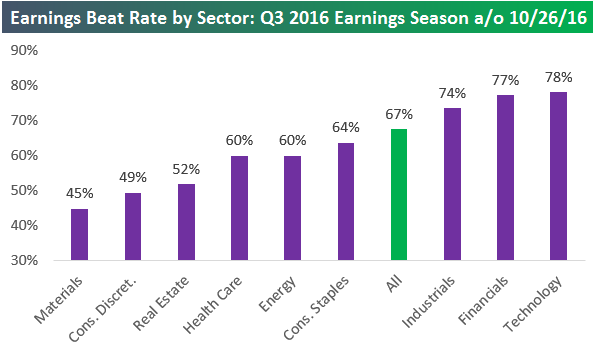 67% of Companies have Beaten Earnings so far this Quarter. 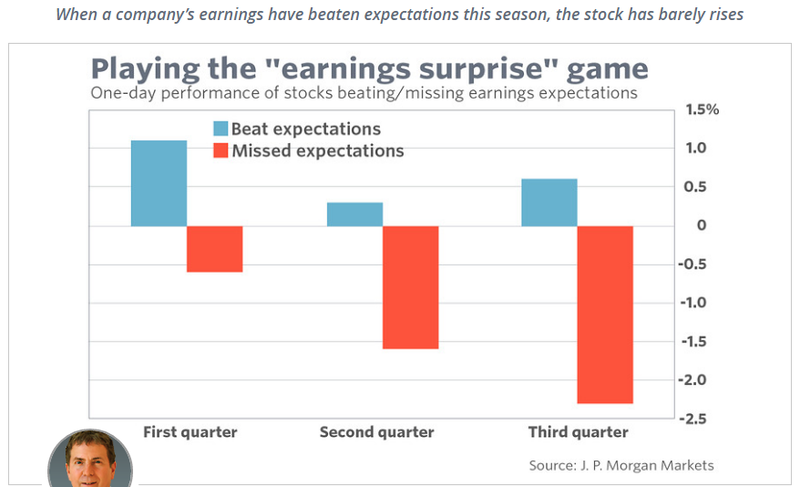 So far this earnings season, 67% of the companies that have reported their quarterly numbers have beaten consensus analyst earnings per share estimates. That’s actually a very strong reading relative to the historical average earnings beat rate. As shown below, sectors like Technology, Financials, and Industrials have posted even stronger beat rates this season. A whopping 78% of Tech stocks have beaten estimates. Unfortunately for market bulls, the strong beat rate has not translated into higher stock prices. In a B.I.G. Tips report just published for Premium and Institutional subscribers, we look into this phenomenon — explaining why it’s happening and what it might mean for the market and the individual stocks that are getting hit after they report earnings. 7. 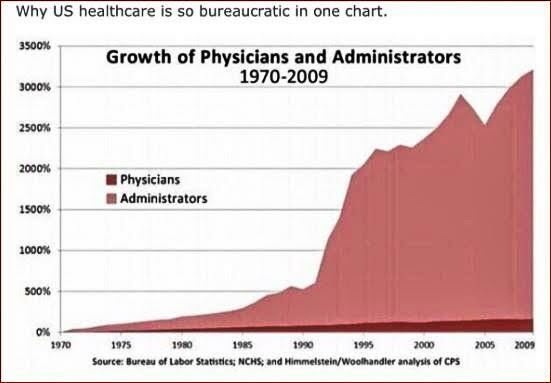 Healthcare CPI Growing 5% Rate. Conor Sen, portfolio manager at New River Investments. 8. Follow up to my 6000 ETF Piece Earlier this Week…200 ETFs Launched this Year. The year 2015 was a record-breaker when it comes to ETF launches, with 284 ETFs entering the market, the most ETFs to launch in a single year since 2011. This year is unlikely to break that record, but as 2016 verges on 200 launches, with two months left to go until 2017, it looks like 2016 will at least see a respectable finish. In 2015, nearly 45 funds launched during November and December, so we could be in for a very active few months, even if we see half that number of rollouts. Closures are likely the bigger story, with the current tally well past 100 shutdowns, a significant number, even if it isn’t necessarily a record. Still, 2016 hasn’t been unextraordinary: Some 40 ETFs shut down in August, with almost 25 more closing in September. Those are rather staggering numbers for closures, which usually only number a few every month. However, September also saw 41 launches, making it the most prolific month for ETF debuts in recent memory. Even in 2015, with its record number of total launches, the month with the highest number of launches was July, with 37 rolling out in the U.S. In general though, the increase in closures, and the slight slowdown in launches, suggests that the ETF industry is reaching a new stage of maturity. Contact Heather Bell at hbell@etf.com. 9. We are a Few Years Away from Housing Shortage. As discussed before, the US is facing a housing shortage, which will become acute in the next few years. 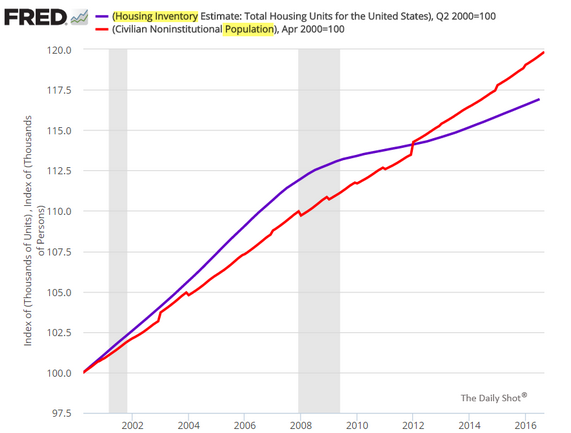 This chart shows the total housing stock vs. the population over time.